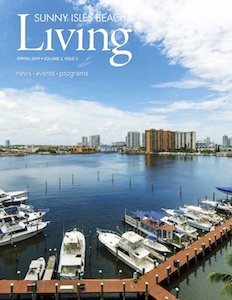 The Sunny Isles Beach Islander is a free, monthly publication that is mailed or delivered to every household. This publication announces a new month of programs and events, offering a glimpse of City services and updating important resident information. Click any of the links below to download a PDF of the SIB Islander. For archived editions of SIB Islander, please submit a public records request with the Office of the City Clerk. The City Clerk can be reached at 305.792.1703 or cityclerk@sibfl.net.